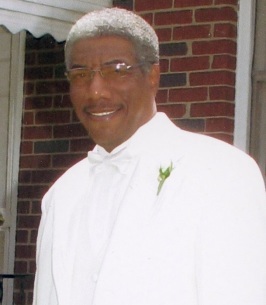 Willie Burroughs Service Details - Greenville, South Carolina | Watkins Garrett & Woods Mortuary Inc.
Obituary for Willie Louis Burroughs Sr. He moved to Brooklyn, New York and later moved to Philadelphia, Pennsylvania, where he spent most of his life. He worked for the Philadelphia Board of Education for numerous years and then he had a career change to being a driver for the Customized Community Transportation (CCT) of Philadelphia until his retirement. In 2008, he was reunited with a longtime friend, Jo Ann, their relationship flourished and on April 11, 2010, they confessed their love to one another in marriage. He was preceded in death by his parents; three brothers, John Henry Burroughs, Nathan Burroughs and Frankie Burroughs; and three sisters, Goldie Burroughs, Rose Burroughs Lawyer and Veria Burroughs Faulkner. Left to cherish many fond memories are his wife, Jo Ann Gary Burroughs of the home; three daughters, Margie (Gregory) Pitman of Philadelphia, PA, Audrey Burroughs of Brooklyn, NY and Renee (Joseph) Hinton of Philadelphia, PA; one son, Willie L. Burroughs, Jr., of Philadelphia, PA; two stepdaughters, Adrianne Ballenger and Alexis Sullivan, both of Greenville, SC; two stepsons, Cornelius Ballenger and James Ray Sullivan, both of Greenville, SC; siblings, Carnell “Marvin” (Darlene) Burroughs of Sellersville, PA, Nancy (Derman) Spence of Kissimmee FL, Arthur (Jesse) Burroughs of Greenville, SC, Lena Sherman of Brooklyn, NY, and Fannie (Richard) Walker of Williamsburg, VA; seventeen grandchildren, twenty great-grandchildren, one great-great-grandchild; and a host of other relatives and friends. Our thoughts and Prayers are with the family. Mr. Burroughs will be missed by all his friends and neighbors at Miller Oaks. "May the God of all comfort" sustain each one of you during this difficult time of grief. The Memories you shared with Willie Burroughs Sr. will always bring smiles of good times. Revelations 21:4 foretells of a future time when "death will be no more" and we will be reunited with our loved ones by means of the resurrection promise (JOHN 5:28,29;PSALM 37:29) My sincere condolences. Another light has gone out in the Burroughs family. My uncle will truly be missed. I will forever remember his smile and his laugh. I am looking forward to this scripture - Luke 23:43. Love always in life and death. My condolences to the family of Mr.Burroughs. It is so difficult when a loved one falls asleep in death. Our heavenly father Jehovah God feels the pain that it causes. He provides comfort from his word the Bible to help cope with those feelings. Psalm 147:3 says; He (God) heals the brokenhearted; He binds up their wounds. And at Isaiah 33:24 he promise in the near future; And no resident will say: "I am sick". Soon the earth will be a paradise and sickness and death will be gone (Revelation 21:4). Please visit our website: www. jw.org to view the faith strengthening video: Is There Hope for the Dead? Click publications then videos.